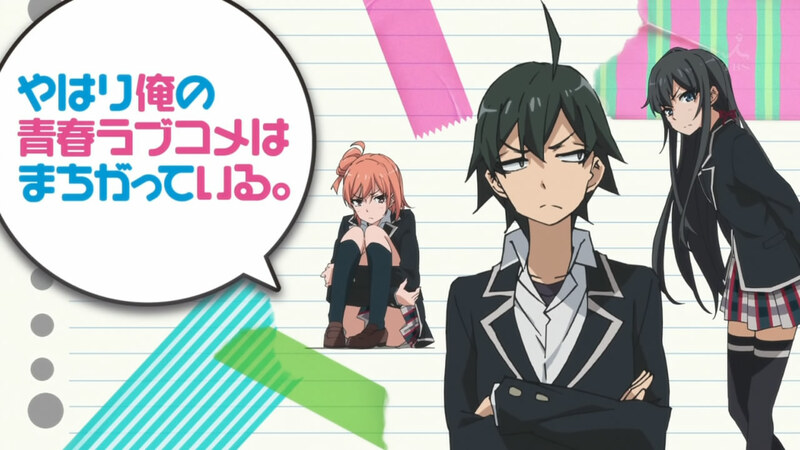 Fans of Yahari Ore no Seishun Love Comedy was Machigatteiru (or My Youth Romantic Comedy is Wrong, as I expected – in the west) were in for a real surprise and treat today. Word came way by the official Japanese site that a third season for the series is incoming. Not much else has been revealed, other than the primary voice cast reprising their roles, but this should come as amazing news to fans who were left wondering if the show was ever going to complete its story. Season two definitely left things in an incomplete state, with no real announcement of a Season 3 in sight at the time when it finished airing in 2015. Now, a good four years later, we’re finally getting the welcome news that the story will continue and perhaps even conclude? 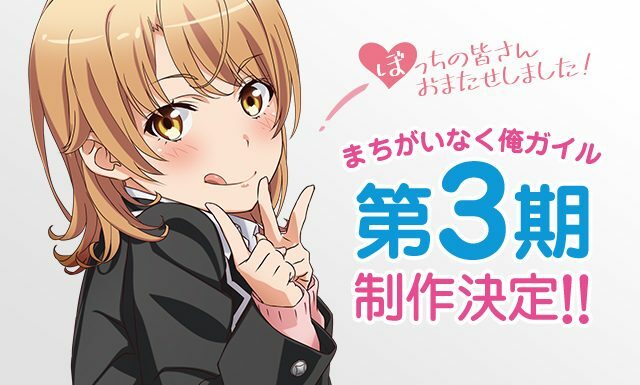 With the 14th and final novel of the light novel series coming out this very month (tomorrow, the 19th of March 2019 to be exact), it is very possible that the third anime series will cap off the story completely. This is a huge deal, especially because full light novel adaptations are a rare thing, as are complete stories in anime today. We noted in both our review and the weekly episode blog post for the 2nd season’s final episode that the show definitely needed a third season, even if the possibility said third season was pretty small. That said, I’m happy to be proven wrong, much like I was with Shokugeki no Soma and other such recent announcements. You can bet that I’ll be covering the third season whenever it airs, and we will keep you updated on any recent developments for the franchise (such as air dates and what not), as they become available.